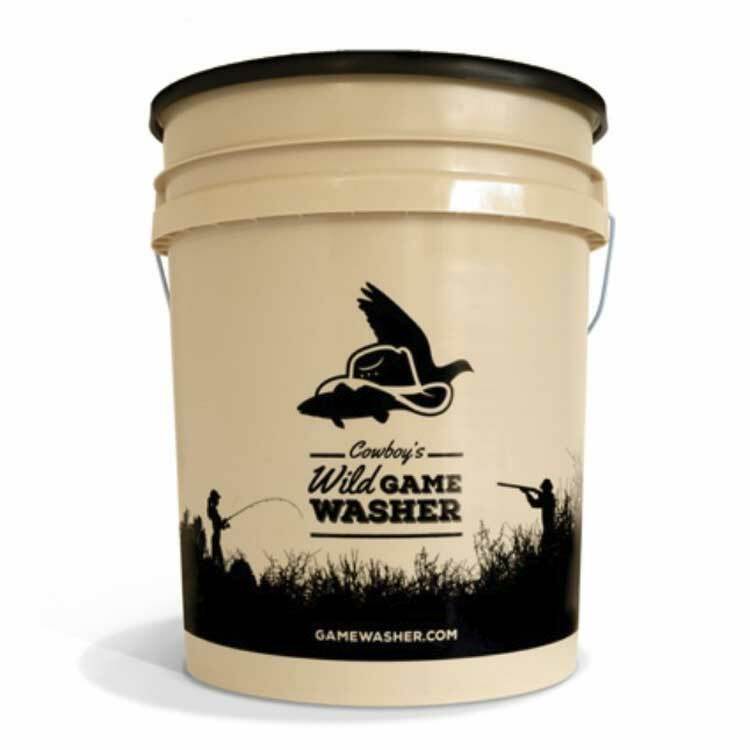 Cowboy's Wild Game Washer revolutionizes the game cleaning process by flushing away all kinds of debris! This sports-bucket saves you time while providing a superior cleaning. Remove the seat attach to a standard water hose and wash birds game and fish with ease. Rapidly cools meat to water temperature. The Game Washer comes standard with a hard plastic lid. Floats & flushes mud, blood, feathers, scales & other debris!